» As we made our way around the world we encountered love, hate, rich and poor, black and white, and many different religious groups and ideologies. It became very clear that as a human race we need to transcend from the darkness to the light and music is our weapon of the future. 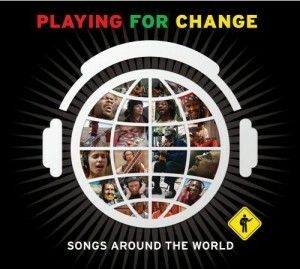 This song around the world features musicians who have seen and overcome conflict and hatred with love and perseverance. We dont need more trouble, what we need is love. The spirit of Bob Marley always lives on.